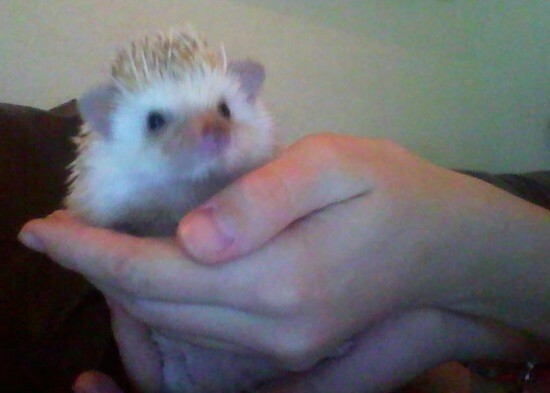 "This is Zoe, my pet hedgehog at 5 months old. See that I'm holding her? That's because she is not as spiky as she looks! And her tummy is soft and warm."